Easy rule but unlimited fun! “Bunny Pop” is a funny & addictivebubble shooting game, you won’t stop playing! Rescue the babybunnies caught by the wicked wolves! HOW TO PLAY • Tap where youwant to throw! 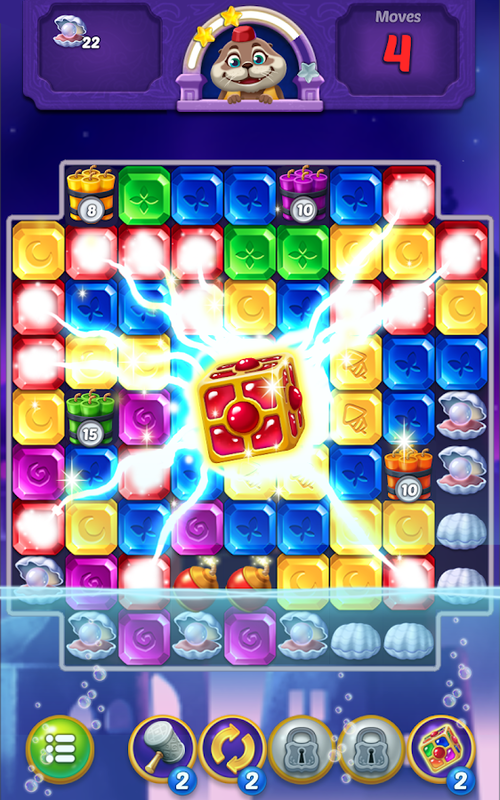 • Match 3 or more bubbles of the same color to pop!• Special boosters & bubbles to help you pass those trickylevels. • Pop all bubbles with minimum shoots to win higher scores• Don't worry! No time limits! FEATURES • Shoot through bubbles! •TONS OF UNIQUE LEVELS - Over 200+ stages are unique and full of funand amazing challenges! - Explore the beautiful world with Bunny! •EASY AND FUN PLAY - Easy to learn and fun to master gameplay • 7Day Events! - Play everyday, Get more rewards! • NO TIME LIMIT -Play it at anytime and anywhere! • NO WIFI? NO PROBLEM! - You canplay offline in anytime. • STUNNING GRAPHICS - Soothing sounds andgorgeous visual effects • OPTIMIZED ANDROID & GOOGLE PLAY GAMES- Designed for tablets & phones. - Support both ARM & x86DEVICES. NOTES • Bunny Pop contains the ads like banner,interstitial, video and house ads. • Bunny Pop is free to play, butyou can purchase In-app items like AD FREE and Coins. E-MAIL •[email protected] HOMEPAGE •https://play.google.com/store/apps/dev?id=6249013288401661340 Likeus on FACEBOOK • https://www.facebook.com/BitMangoGames AppPermissions [Required Permissions] - none [Optional Permissions] -Photo / Media / File: required storage access permission to savegame data [Permission setting and withdrawal method] - Android6.0+: Device Settings> Application Management> Select App>Revoke Access - Under Android 6.0: Can revoke access by deletingapplication Time to pop! Thank you! Do you want to play the best Sudoku for free? Then you should tryour Sudoku !! Advance through valleys, deserts, glaciers and moreas you play hundreds of levels we prepare for you! The difficultywill increase as you progress until you become a Sudoku master!Each scenary has a colorful, easy-to-read interface, forget aboutthose boring sudokus! You can play it in Classic mode (Sudoku rulesonly) or Standard (validating with the solution). You choose! !Multiple hints!! You will never get stuck on one level! Proveyou're the best in the worldwide scoreboards! Can you get all theachievements? Welcome aboard, Captain! The crew is just waiting for your order toset sail, all ready to go off in search of countless treasures andspectacular adventures! Look for ancient maps you can use to beatfascinating match 3 levels and find unheard-of riches. Here's whatyou can expect in Pirate Treasures: - Gorgeous graphics - A greatsoundtrack and juicy sound effects - Your friends, who will try tobeat you to the treasures - The match 3 gameplay you love -Thousands and thousands of engaging levels - A daring band of seadogs as your crew - And TREASURES (obviously!) Cast off! Set sail! Arrange as many blocks as you can on the virtual field. Warning:This game is addictive and a lot of fun! Come on! Who doesn't get bored anytime? On the way ,at work, atschool or at home ...Relaxing ,using life,not wasting time...If youseek for these ,the enjoyable world of tiles Mini Rummi is exactlyfor you.Super Rummy is a puzzle game that cater to everyone for allages ,have rich entertainment ,can be understand easily and you canalso spend enjoyable times while playing this game.Super Rummy is atotally free game.•You can compare your total score and your bestscore with your friends connecting by Facebook, Game Center ,Playstore •At the end of game you can share your score board with yourfriends at any platform you want.If you think that organizing andclassifying is my job, this rich entertaining game is waiting foryou. Hexes! The next evolution of Flow Free®! If you like Flow Free,you'll love Flow Free: Hexes®! Connect matching colors with pipe tocreate a Flow®. Pair all colors, and cover the entire board tosolve each puzzle in Flow Free: Hexes. But watch out, pipes willbreak if they cross or overlap! Free play through hundreds oflevels, or race against the clock in Time Trial mode. Flow Free:Hexes gameplay ranges from simple and relaxed, to challenging andfrenetic, and everywhere in between. How you play is up to you. So,give Flow Free: Hexes a try, and experience "mind like water"! FlowFree: Hexes features: ★ Over 2,500 free, hexagonal puzzles! ★ Dailypuzzles: new levels every day, never run out ★ Carefully crafted,high-quality puzzles ranging from easy to extreme! ★ Optimizedtouch controls for smooth, satisfying play ★ Google Play Gamesachievements and cloud sync of your progress ★ Clean, colorfulgraphics and fun sound effects Enjoy!